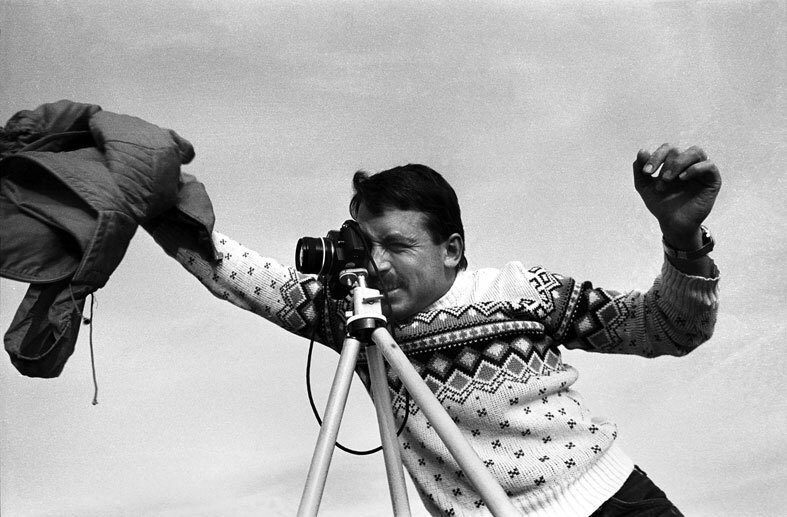 Since 31 December, the Kaunas Photography Gallery is hosting a photography exhibition dedicated to the memory of Virgilijus Šonta. The images displayed in the gallery reflect both Virgilijus Šonta‘s (1952 – 1992) creative pursuits and his personal life. In 1970, Virgilijus’ father gifted him a “Zorkij” photo camera – this year marked the beginning of the artist’s creative period, and shortly he became one of the most important representatives of the young photography generation in the 80s and 90s. During his 22-year creative career span, V. Šonta‘s works were often displayed in exhibitions, he occupied an important place in Lithuanian photography. Unfortunately, the talented artist perished in 1992 and nowadays his contribution and creative achievements are not sufficiently explored. The exhibition showcases V. Šonta‘s works from the cycles “Stones of the North”, “Evening Flair”, “Flight” and the others, already familiar to the majority. In the photography series “School is My Home”, the artist explores and captures what the Soviet government attempted to hide or suppress. In this cycle, the artist photographed the pupils of a boarding school for disabled children over three years. The sensitive and emotionally deep images allow one to comprehend not only the perfect mastery of technique, but also the capability to approach the individual and their feelings. One of the most striking characteristics of V. Šonta‘s ouevre revealed by his works is his distinctive sense of light, sometimes designated as “Šontian light”. The exhibition does not limit itself to well-known works of the artist – it also displays images by a good friend and colleague R. Požerskis, showcasing moments from V. Šonta’s personal life. This creates an opportunity to not only discover the artist as a creator, but also to try and get to know him as an individual. It is expected that this exhibition will encourage the art critics to explore the exceptionally relevant photographer’s archive in-depth. The exhibition will stay open until 24 January. The exhibition was partially supported by the Lithuanian Council for Culture. Gallery opening hours: II-V 11am – 6pm, VI-VII 11am – 5pm.